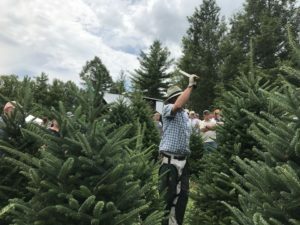 The Tennessee Christmas Tree Growers Association held a Field Day on Saturday, July 15, 2017 in Mountain City, TN. 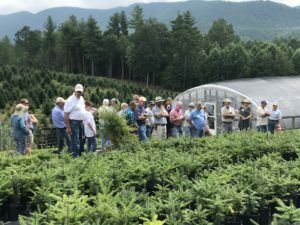 Wintergreen Farm hosted the event that was well attended with attendees coming from Tennessee, Virginia, North Carolina, South Carolina, Georgia, Mississippi and Alabama. 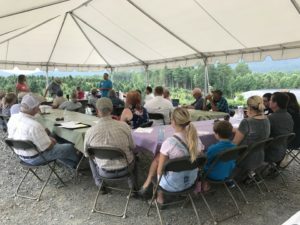 The day began with introductions and a farm tour conducted by Simon and Vonnie Smith of Wintergreen Farm. 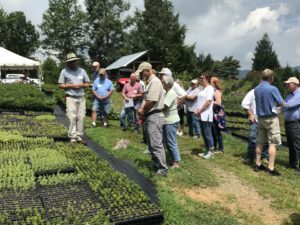 This included a tour of the nursery, greenhouse and several blocks of trees grown on their farm. After lunch, there were shearing and wreath demonstrations along with a discussion of pest and weed control. 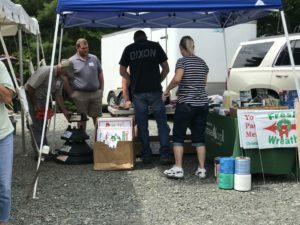 Fraser Knoll Equipment and Supplies was on hand with a good selection of growing and selling supplies. 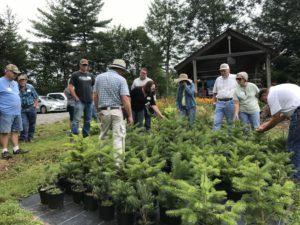 The weather was beautiful and Christmas Tree growers were able to network and share ideas. 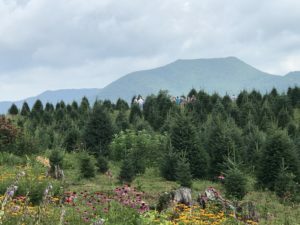 For more information about the Tennessee Christmas Tree Growers Association, contact the President, Justin Diel at tnchristmastreegrowers@gmail.com.